The Confederates destroyed the Union line at Duncannon Road. They hit Cruft's brigade with a rolling musket volley, reloaded, jumped the fence and scattered his line. Manson's brigade fared no better. The 71st Indiana Infantry lost so many officers that it almost ceased to exist as an organized unit. The spent Union line crumbled and the Federal troops bolted toward Richmond. Civilian sightseers fleeing the battlefield were engulfed by the frenzied retreat, making a bad situation worse. "The flying masses drifted up the road and through the fields in the direction of Richmond" Gen. Cruft reported. "General Manson and myself rode forward, endeavoring to stay the flight and panic in every possible way. Our respective staff officers and some of the field officers of the various commands nobly assisted in the hopeless task." 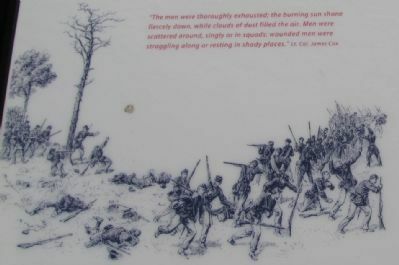 It was late afternoon when the remnants of the demoralized Union army regrouped on the south edge of Richmond, in and near the cemetery. The Federals were badly rattled but they were not ready to concede defeat just yet. Location. 37° 42.769′ N, 84° 16.141′ W. Marker is near Richmond, Kentucky, in Madison County. Marker is at the intersection of Berea Road (U.S. 25/421) and Pace Ramsey Road, on the left when traveling south on Berea Road. Touch for map. 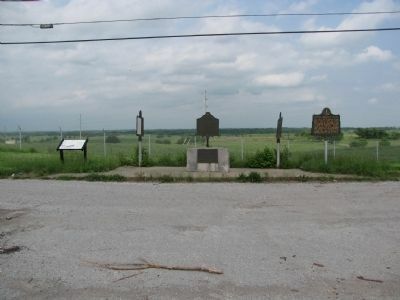 Marker is located at a small rest stop on the east side of the road. Several other markers are located in this same area. 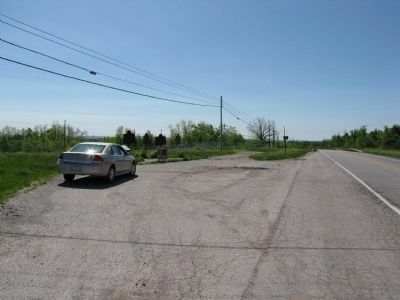 Marker is in this post office area: Richmond KY 40475, United States of America. Touch for directions. Other nearby markers. At least 8 other markers are within walking distance of this marker. Battle of Richmond, Ky. (a few steps from this marker); Twitty's or Little Fort (a few steps from this marker); Fort Estill (a few steps from this marker); Daniel Boone's Trace (a few steps from this marker); Daniel Boone's Trail (a few steps from this marker); "Defeat and Destruction Seemed Inevitable" (approx. 0.9 miles away); "Rally, boys! Rally to the Colors!" (approx. 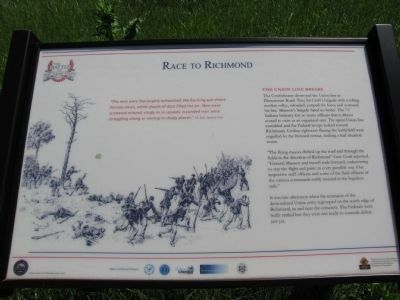 0.9 miles away); a different marker also named The Battle of Richmond (approx. 0.9 miles away). Touch for a list and map of all markers in Richmond. Looking South along US 25/421. More. Search the internet for Race to Richmond. Credits. This page was last revised on February 28, 2019. This page originally submitted on June 4, 2010, by Lee Hattabaugh of Capshaw, Alabama. This page has been viewed 609 times since then and 21 times this year. Last updated on February 27, 2019, by Bradley Owen of Morgantown, West Virginia. Photos: 1, 2, 3, 4. submitted on June 4, 2010, by Lee Hattabaugh of Capshaw, Alabama. • Andrew Ruppenstein was the editor who published this page.